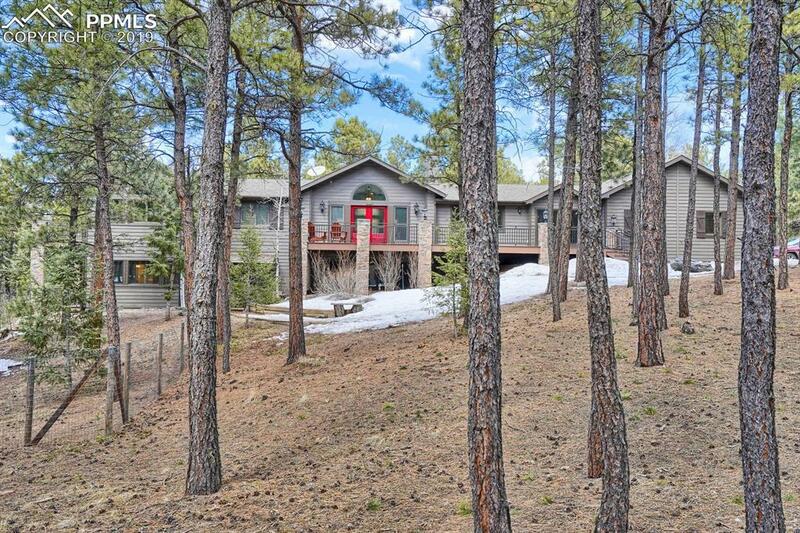 Hidden Gem in Tall Pines Estates! 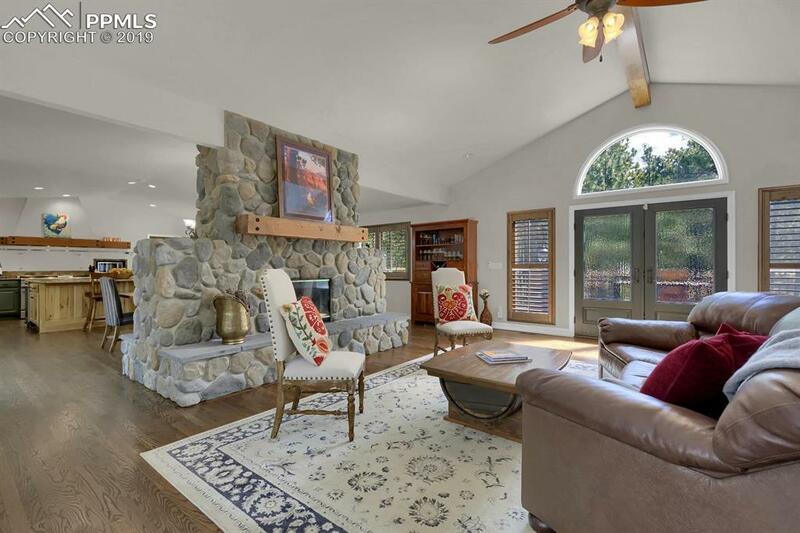 Truly a One-of-a-Kind Property with so many special features and updating. It is a rare find, indeed! 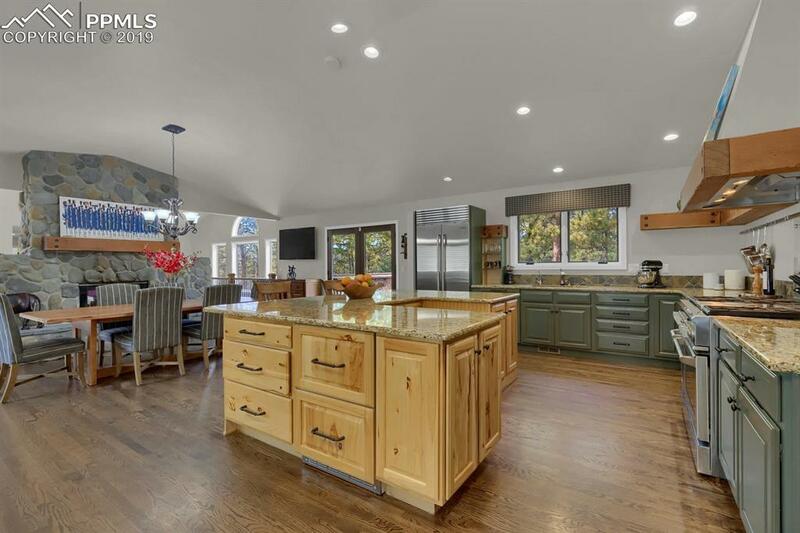 Simply put, an exquisite walkout ranch style home and gorgeous treed lot with tons of outdoor living space to enjoy true Colorado! The main level provides a wonderful open flow and will give that "WOW!" each and every time you welcome your family and guests inside. Gourmet island kitchen with all the bells and whistles the chef of the home desires - from warming drawer to beverage refrigerators to French door sub-zero full-size refrigerator. But wait - you must-see the BONUS near new Butler's kitchen! 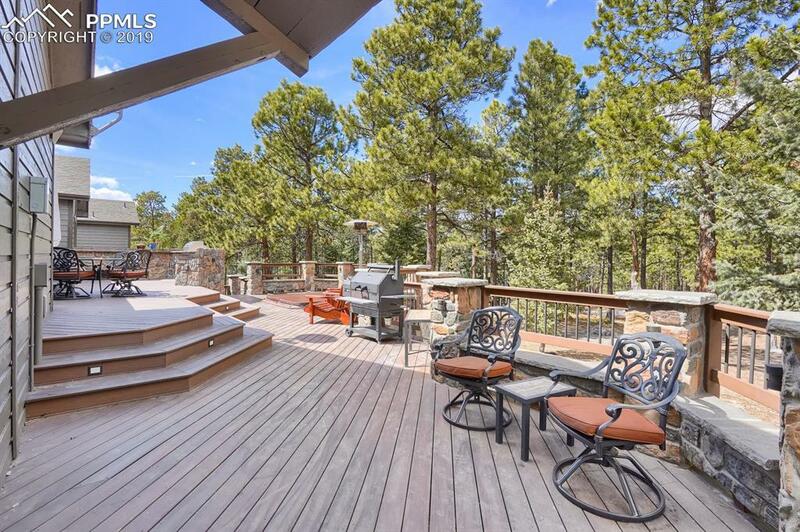 It is a dream space for the cook, baker, or entertainer at heart. Walkout master suite is suited for a king and queen with beamed ceiling, his and her closets, walkout to private deck, and a spacious master bath area to retreat to each day. Don't forget to check out the custom designed gym - designed for the fitness guru or use the space as you see fit. So much more to see & appreciate with this special home and properties like this one just do not come available very often. INCLUSIONS: All kitchen appliances including new sub zero refrigerator, new trash compactor, full-size refrigerator in Butler`s Kitchen, warming drawer, 2 refrigerator drawers, microwave, dishwasher, hood and range/oven, under-sink water filtration system, built-in salt water hot tub at rear deck, fire pit, custom shutters, window blinds, pool table and accessories, 2 TV mounts, built-in grill at rear deck, clothes washer and dryer, ADT alarm/security system with 4 cameras, mounted gym equipment at custom gym, programmable thermostat, water softener and demineralizer system, and simple sediment filter on water line in storage area, radon system, home warranty.